A’Famosa Resort Melaka is a holiday resort that provide days of family fun, hours on the green, thrills of a water theme park, enjoyment of four-star hospitality, delights of horse riding and full range of recreational activities. 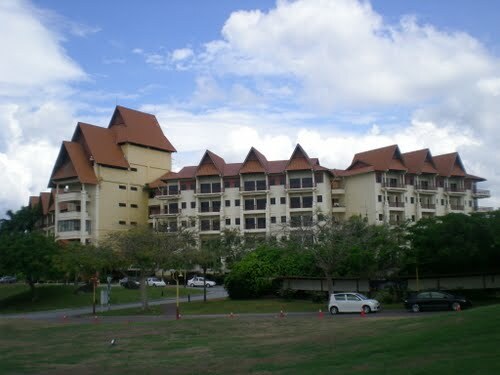 A’Famosa Resort Melaka is the perfect gateway from the bustling city life. Designed to ensure your comfort, you will find the rooms well furnished, spacious yet cosy. The hotel’s exclusive 326-room is located within walking distance of the golf course and clubhouse. The Lobby welcomes you into a world of warmth and impeccable service, so true to the spirit of old Melaka. It’s an intriguing world of luxury in traditional settings. Stay on for the day and night, and the next too, and discover that traditional friendliness and courtesy of A’Famosa Resort Melaka. Choose to stay at Resort Hotel Deluxe Single / Double / Family Room, each room has its own balcony providing spectacular view of the resort and golf course. Other hotel facilities include swimming pool, restaurants, business centre & health centre. Nestled amidst hilly terrain of lush green surrounding, A’Famosa Bungalow offers a more spacious alternative for family and group holidays. Ranging from 3 to 5 bedrooms units, each of these bungalows has it own swimming pool. For a more elegant and cozy setting, A’Famosa condominium are designed to complement the modern and exclusive lifestyle of today. Ranging from 1 to 3 bedroom units, all condominiums has its own balcony with breathtaking resort views. The exquisite trio of nine-hole tracts – Rockies, Crocodiles (with live crocodiles!) and Palms were crafted with great skill and vision by Australian golf course architect, Ross C. Watson. The course flows with the undulating terrain, past mature trees and spectacular boulders and pristine waterways, an ensemble to provide the best of a natural setting for a nice round of golf. Perched on a hill offering impressive vistas of the golf course, the A’Famosa Clubhouse is a modern but traditionally-styled facility offering top class creature comforts and excellent F&B outlets including the extremely popular Huang Di Chinese Restaurant and A’Famosa Lobby Lounge. Other facilities include spacious changing rooms, a well-stocked pro-shop and karaoke lounge. At the clubhouse, you can enjoy authentic Chinese cuisine at Chinese Restaurant, or a selection of local/western delicacies at the Golfer’s Terrace. If you would like to spend a night or two at the resort, you can rent for a luxurious 3-5 bedroom bungalows that are spacious and fully-equipped with modern furnishings and swimming pool. All bungalows are also conveniently located near the clubhouse, well equipped with conference and banquet facilities. A’Famosa’s Pro-shop boasts of well-known golf equipment to suit the needs of all golfers. Operating hours are from 7am to 9pm on weekdays (Mondays to Fridays) & 6:30am to 9pm on weekends (Saturdays & Sundays) and Public Holidays. Consisting of both artificial and grass practice areas, A’Famosa’s driving range caters for golfers who want to improve their golf swing further.